Ever since the arrival of the Drifters earlier this year, tensions have been on the rise in new Eden. From the moment they arrived they proved to be a force to be reckoned with, piloting ships that are more then a match for capsuleer ships & able to adapt to our tactics. 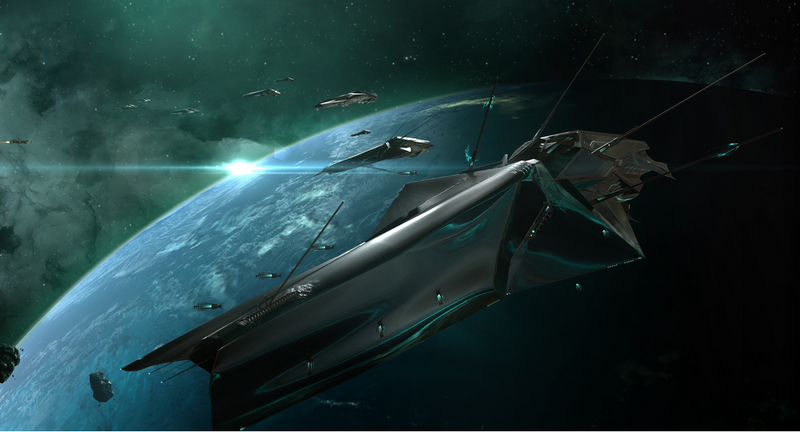 Counted from their arrival in New Eden, 4 major conflicts are known, 3 of them were initiated by the Drifters. Below you'll find more details about each of the battles. When the Drifters made a first appearance, many capsuleers sought them out, some to study or to observe, but many did to destroy, kill & plunder. But those with hostile intentions got a nasty surprise... These Drifters packed considerable firepower & strong defenses in a high speed battleship. The first few days saw a massacre as the Drifters defended themselves from capsuleer aggression. The massive destruction caused during this early period set their reputation as a strong foe & that they should not be taken lightly, as even capital ships perished in their wake! Once the excitement about the new arrivals had died down, most left the Drifters alone, content to observe them & see what they were up to. A few kept engaging them, in order to adapt to the Drifter weapons & tactics, but this backfired, as the Drifters used these engagements to adapt their technology & weaponry to the capsuleer combatstyle & weapons. Among these adaptions was upgrading their sensors to render them immune to ECM attacks & extending the range of their capital weapon, the Aegis Beam. For a while, the status quo remained, the capsuleers observed the Drifters & the Drifters kept to their own devices, protecting their installations. But in May, this all changed. A group of capsuleers (Anslo, Mizhir, Kybernetes Moros, Kalo Askold) had performed a successful autopsy on a recovered Drifter corpse & had shared their findings to the DED. In turn, the DED held a press conference & broadcasted a live holo about these findings, to inform all of New Eden about the discoveries made by these four capsuleers. But right at the point the Press was allowed to question the four capsuleers about their findings, the holofeed was disrupted & a small fleet of Drifters appeared at the DED station in Yulai. There was no question about their intentions once they began opening fire on the gathered capsuleers! While the Drifter taskforce was small, 4 battleships, they managed to cause quite some damage as they initiated the attack on an unprepared group. Luckily, the capsuleers regrouped & countered the Drifter aggression swiftly due to their superio numbers. Originally meant to be a celebration for the capsuleer organisations PIE & Imperial Dreams, existing 12 years, it was modified & enlarged after Empress Jamyl Sarum's decree to share classified new shield technology with the cluster to heed her call to stand united. This would occur in June, at the Mekhios Graveyard in Sarum prime, the place where Empress Jamyl returned in full glory & decimated an invading Minmatar Elder Fleet. The celebration itself was a display of Imperial might & power by the capsuleers loyal to the Amarr Empire. But all of a sudden, an Imperial Navy officer warned of an impending Drifter attack! 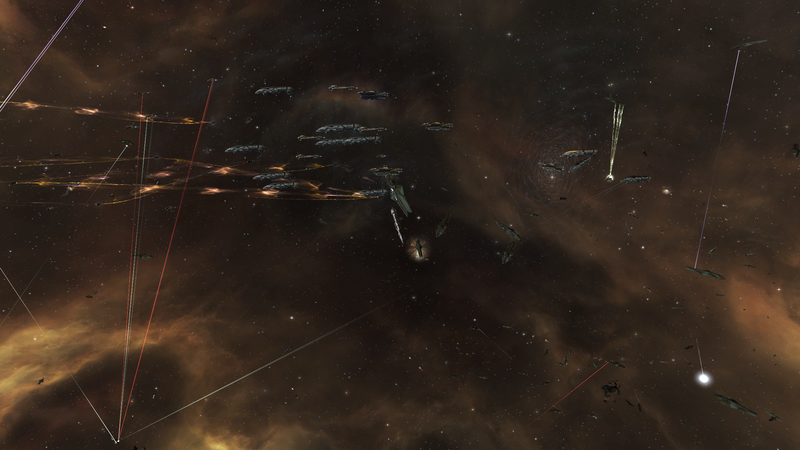 Before they even got a chance to reorganize, the Drifter armada arrived on field and began opening fire! Under the guidance of the CVA Fleet commanders, a full retreat was called in order to reorganizing into a combat formation, as the fleets were still in parade formation & not suitable to combat such large force. During this chaotic period, some capsuleers were left behind in the Mekhios graveyard, watching the large Drifter fleet wreck havoc as they opened fire on the fleeing ships. During this chaotic period, there's been unconfirmed reports of strange sounds & odd flashes. Whatever it was, by the time the main fleets returned to kick the Drifters out of Amarr space, it was noticed that quite some Drifters had lost their blue overshield, their strongest defense. Seeing this as a sign that God was on their side, the defense fleet pushed even harder, hammering down the Drifters who were not prepared for such a swift & coherent response to their aggression. This attack is more disturbing then the one at Yulai, as this celebration had no direct connection to the Drifters & their technology. They just attacked out of nowhere & seemingly without an obvious meaning. The observation that several Drifter battleships had lost their blue overshield is interesting. It has been suggested it had to do with the location, that residual energy from the superweapon used to destroy the Elder fleet interfered with Drifter shield technology. However, nothing has been confirmed regarding this, except that there were too few capsuleers on the field to cause so many overshields to be down before the return of the main fleet. A few days ago, the Drifters launched a third attack, once again with a large fleet; This second armada of theirs targeted the Safizon system, where a new Imperial Issue Abaddon is being built, rumored with integrated advanced technologies. 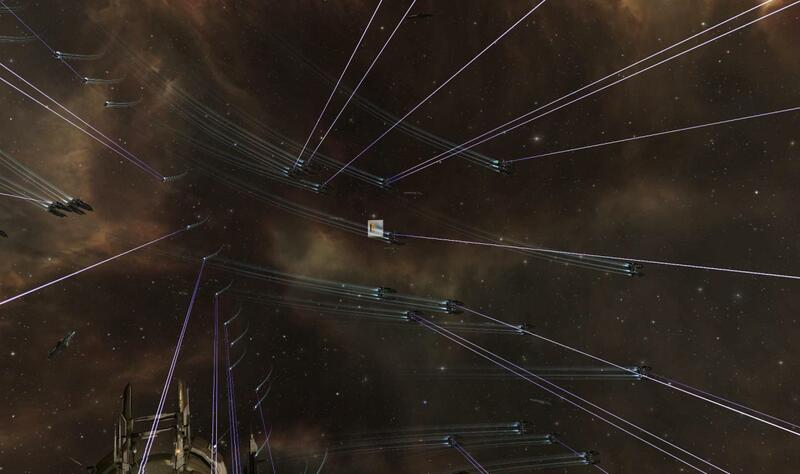 The Imperial Navy wasted no time & rallied en mass to defend the system from Drifter aggression. Despite this swift response, they were defeated, forcing high command to regroup & call on capsuleers to aid them in the defense of Safizon. However, capsuleers quicly noted that the Amarr Navy had struck a great blow already to the Drifters, as they lost a substantial part of their fleet already. Despite this, the battle for Safizon would rage on for many hours before the cleanup could begin. During the fight, many capsuleers noticed the advanced combat tactics employed by the Drifters. This combined with their advanced technology meant they were much harder to drive out the system. Ultimately the Drifters were driven out, with the combined effort of capsuleers & the Imperial Navy. Just like the second attack, there was no direct connection or provocation for the attack. While Safizon is the system where a new Imperial issue Abaddon flagship is being built, it's not clear if it's related to the Drifter aggression. It could be that the Drifters simply wanted to test combat tactics & reaction time of the Amarr Empire & it's allies. 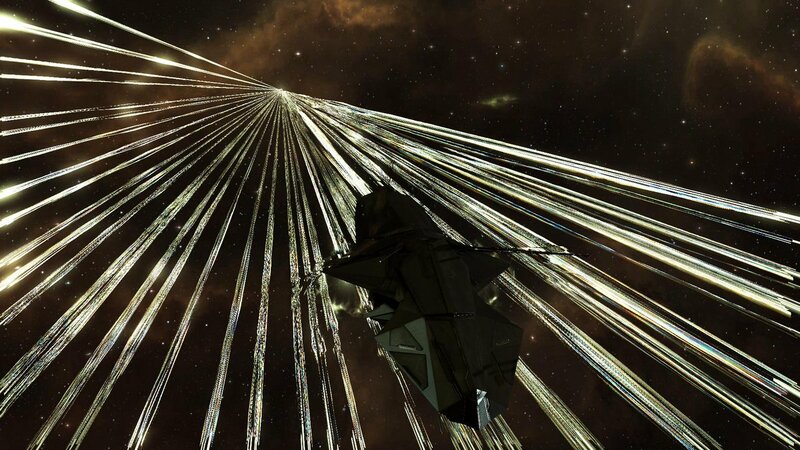 So far, the Drifters launched 3 attacks, two of these with a large fleet, who were both in Amarr space. Coupled with this is that there's far more sightings of roaming Drifter battleships in Amarr space then any other nation. For now it's unclear why the Amarr are such a priority for the Drifters, but one of the reasons could be the lead in wormhole & sleeper technology that the Amarr Empire enjoys. Also, while the Amarr Empire attracted the most attention, the Drifters are not above striking other targets beyond Amarr space, as their attack in Yulai displayed. Some capsuleers have called to 'stop the provocation & initiate diplomacy' but it's my fear that this ship has sailed. Diplomatic efforts have been tried, the Drifters took note but did not respond to Arek'Jaalan's offering of diplomatic contact. Also, the Drifters have attacked the core of the Amarr Empire on purpose twice with an armada of their Battleships without any direct provocation or declaration of terms. In both cases, the Amarr Empire & it's allies were in their right to respond with laserfire to defend themselves. It's doubtful that these incidents are the last. We must stand ready to defend ourselves from the Drifters, for they'll surely strike again. Finding out what triggers or motivates their attacks would be a great help in organizing an effective counterfleet against their invading armada's.